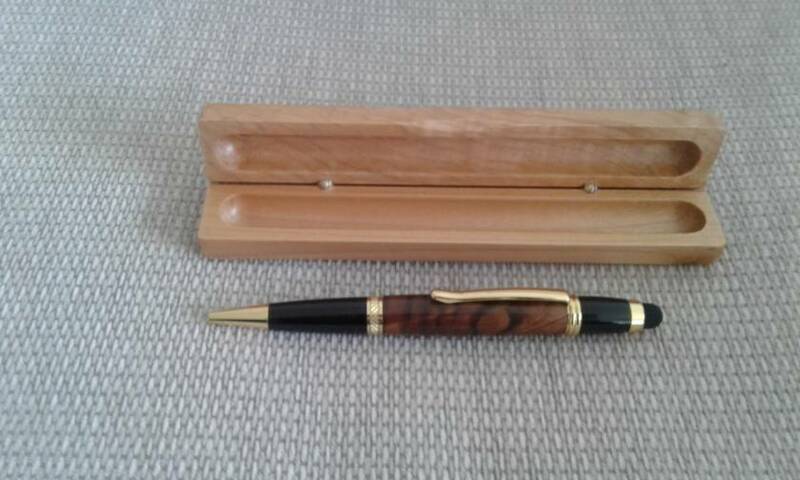 Unique hand turned Sierra Stylus Pen in NZ Walnut with gold plated fittings. 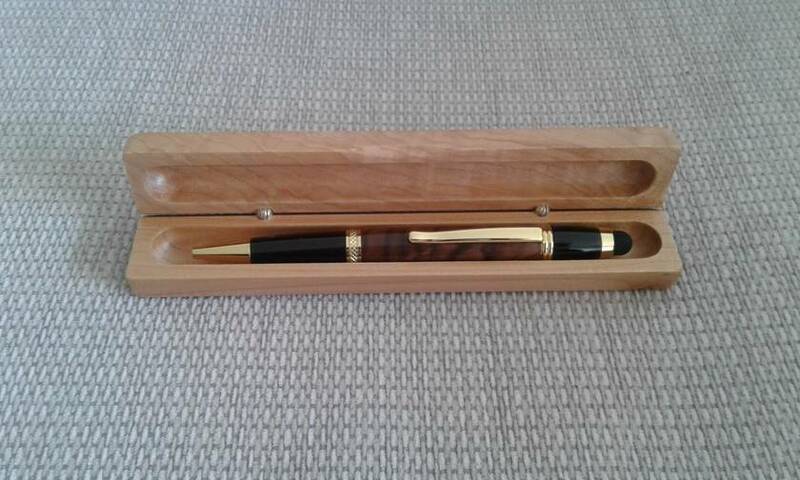 Each pen is crafted with the utmost attention to detail and finished to perfection. 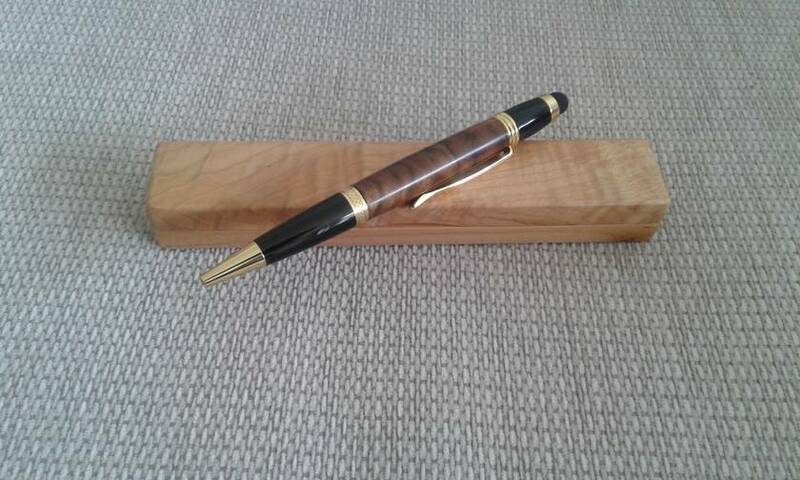 The pen comes with a Maple presentation box, suitable for engraving, making a perfect gift. 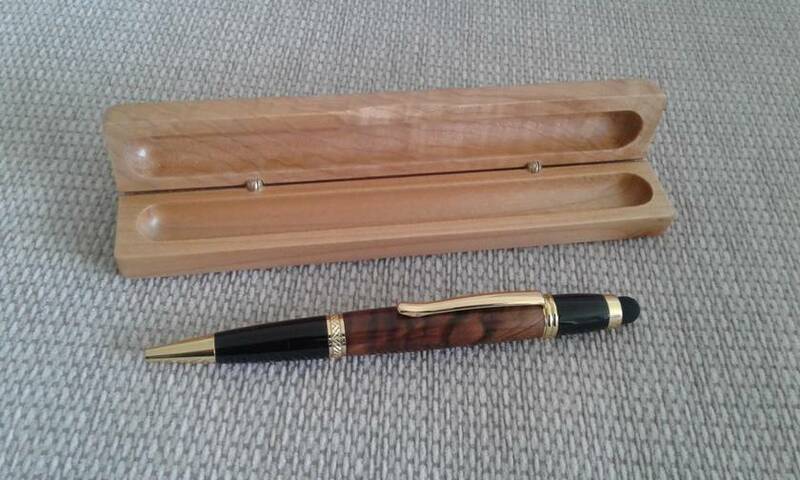 Please note that each piece of wood (for the pen and box) is unique and may differ from the pictures shown.